For me, having a really high blood sugar usually means behaving cold and lonely. Insensitively shunning the people around me and just wanting to be left to myself to wallow in my craptastic day. I feel lousy and tired, and just want to sleep on it until I finally come down. But — stop right there — on the way home from work today, a song came on the radio that reminded me of a different time. A time when I was younger, barely seventeen, and certainly not in as good control with my diabetes as I am now. My A1C back then was in the double digits — and I’m not talking about what comes after the decimal point. You know how it is when you hear a song that brings you to an earlier time? Well this song brought be back over twenty years. But still, I remember every little thing, as if it happened only yesterday. Myself and three of my friends were sitting in my red 1984 Subaru driving back from Six Flags Great Adventure, and a Meat Loaf song came on the radio. My blood sugar was soaring, probably in the three- or maybe even four-hundreds. But open up your eyes, I got a big surprise. I felt alright. Better than alright, actually, I felt great! Not only was my blood sugar high, but I felt “high”. Euphoric. Uninhibited. As happy as could be. The four of us were singing along to the music, drowning out the radio. And me, typically the shy one of the bunch, was singing loudest of all. Back then, in my teen and pre-teen years, having a high blood sugar was a truly great feeling. It felt like paradise. My parents recognized the signs. They knew that when I was high (still referring to BG, lest you think otherwise), my behavior was inexplicably and uncharacteristically jubilant. I was an absolute pleasure, and they loved seeing me so happy, despite the potential long-term complications that I may have been feeding. They knew for sure and didn’t need a meter to tell them. Ain’t no doubt about it. I’m not sure when it all changed. Maybe when I started taking better care of myself and those 300 mg/dls were no longer “normal” to me, they made me feel sick rather than smile. Maybe I took the initiative to beating myself up over my lousy control mentally, and let Mother Nature do the rest physically. But I’ll tell you this, in no uncertain terms: these days, I hate the feeling that comes with a high blood sugar. So, tell me (I gotta know right now!! ), do you – or your kids with diabetes feel happier with sky-high blood sugars? Did you (they) ever feel that way sometime in the past? Posted on March 19, 2013, in Diabetes, Personal, Type 1 and tagged hyperglycemia. Bookmark the permalink. 13 Comments. Great intergration of song! & yes, when we see rambunctious silly over the top behaviors we are usually checking for a hi #. Filing this information away and hoping you were actually also high on cocaine. My son was inexplicably jubilant yesterday before dinner, and 245. he said, “maybe I’m so funny because of my high blood sugar!” he was dancing to Thrift Shop, pop some tags got fist pumps, shoulder-dust offs for I look incredible, he had better rhythm than ever and was totally unselfconscious. Noooooo! Say it’s not so! We need highs to feel icky. Back us up, Hemoglobin. My A1c has typically always been closer to 8 than 7 and in college it was always in the 8s (I didn’t comprehend then that it was too high). During that time I felt fine. Now that I’ve got tighter control, anything above 220 starts to make me feel “off”. It’s interesting how the body adjusts to your control at any given time. Back then, a BG of 120 probably felt really, really low. I’m glad I don’t get that euphoric feeling when I’m high, might just want to stay that way because lows feel horrible. I noticed right away while I was still in the hospital after being diagnosed, I would feel like getting sick and have a horrible headache if I were above 200. I have also been told that I turn into a roaring word that rhymes with witch when I start to trend upwards. Not to say that it doesn’t happen still though, I’m still kind of new (two years in April) and figuring out the exact basal rate which is challenging because it changes weekly. I used to tell my endo that I could always tell when I was high because I felt really good. I actually still feel good when I’m high. Not euphoric, but just good probably because there are no lows on the horizon. (This is not true with pump issues where I’m getting no insulin; those make me feel sick very quickly.) Unfortunately with my knowledge and guilt that it’s not good to be high, I don’t experience those “happy I ate 10 cookies” highs very often anymore. Scott, I can’t say that I’ve ever had that experience, even when my A1cs were up there. But I love the clever lyric-smithing you’ve done here. I loved it and I’m certain the song is going to be in my head for the rest of the day. I feel like utter crap when I’m high. I’ve only had the betes in my adult life but I often look at the younger ones and wonder how they function with such high beeges without hardly even feeling it. I do, sometimes, wish I had that. It would make me less afraid of the highs. Very interesting question, Sir Scott! I don’t think I felt anything but bad when my BG was high. Actually, I probably was mostly ignorant of where it was most of the time, and even now, I don’t feel yucky until I’m way up there. I honestly can’t remember if the highs made me tired, or gave me energy. I was tired a lot, but was that because of the extra work load I was bringing home (job was a pain in the backside), or because I was running so high. My A1C at diagnosis was 11.2. I do know this.. 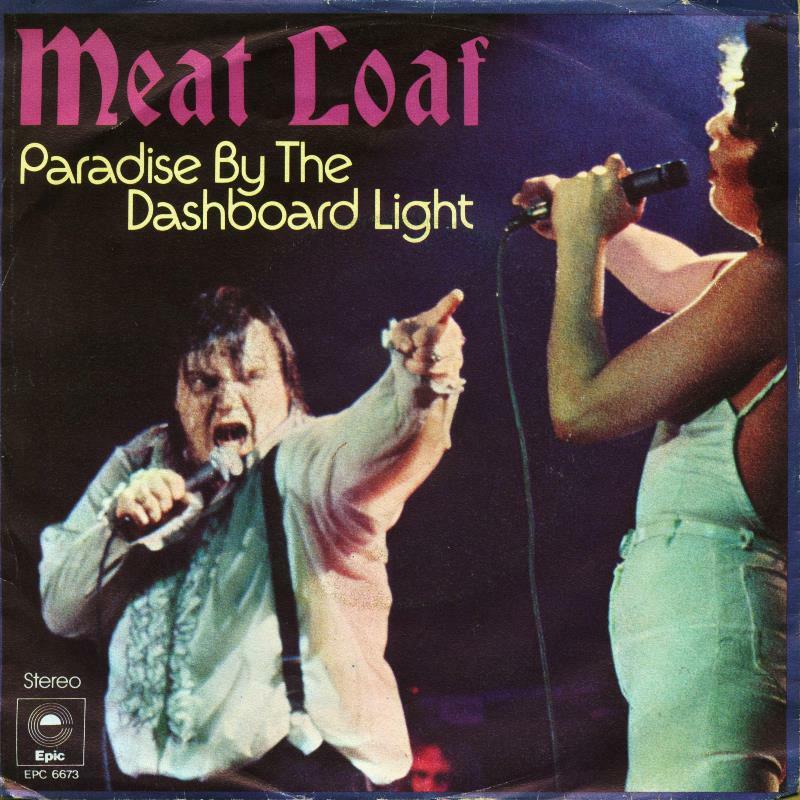 THANK YOU for quoting Meat Loaf. I’ve had another song/artist stuck in my head for weeks and.. it just won’t quit.. but will put this on for my lunchtime walk. Hopefully that will do the trick. I wish I felt euphoric when my blood sugars were sky high! I just felt exhausted and moody. My parents blamed it on being a teenager. I knew differently. Perhaps our different feelings and behaviors when high are just like being low – we all have different symptoms. Cool post!